Product categories of Anti-static Plastic Bags, we are specialized manufacturers from China, Anti-static Plastic Bags, Anti-Static Moisture-Proof Plastic Bag suppliers/factory, wholesale high-quality products of Anti-static Bubble Bag R & D and manufacturing, we have the perfect after-sales service and technical support. Look forward to your cooperation! Anti-static Plastic Bags in the electronics industry, the main form of static electricity damage is caused by electrostatic discharge components of the mutation failure and potential failure, and then cause the overall performance of the decline or failure. Therefore, the main purpose of electrostatic protection and control should be to control electrostatic discharge, that is, to prevent the occurrence of electrostatic discharge or to reduce the energy of electrostatic discharge below the damage threshold of all sensitive devices. In principle, electrostatic protection should be controlled from the generation of static electricity and Controlling the dissipation of static electricity in two aspects, controlling the generation of static electricity is mainly to control the selection of materials in the process and process; controlling the dissipation of static electricity is mainly to quickly and safely discharge and neutralize the static electricity; It is possible that the static electricity level does not exceed the safety limit to achieve the purpose of electrostatic protection. The following describes the types and characteristics of several anti-static Plastic Bags in the electronics industry. 1) Shielded anti-static sealed Plastic Bag: It is made of polyethylene and Germany imported antistatic agent and blown by special machinery. It is easy to pack and close with your fingers. 2) PE red anti-static plastic bag: The anti-static plastic bag is the best packaging material for printed circuit boards, so that the static electricity generated by the printed circuit board can be reliably released to avoid damage. 3) Anti-static shielding plastic bags: In order to make plastics can shield electromagnetic waves, antistatic agents should be used for metallization of plastics, which has a good shielding effect. 4) Anti-static bubble plastic bag: Anti-static bubble plastic bag and bubble chip can prevent the product from being damaged due to impact or static electricity during production, handling and transportation. 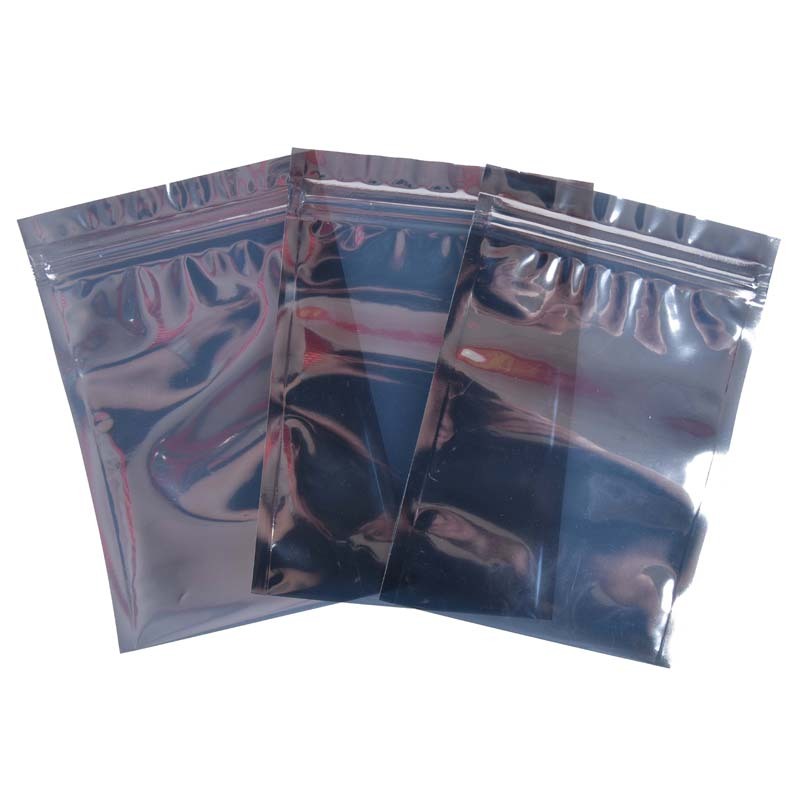 This bag is suitable for the packaging of electrostatic sensitive electronic products. 5) Anti-static and moisture-proof plastic bags: It is suitable for the transportation and packaging of electrostatic sensitive high-tech electronic products such as PCB and IC. 6)Anti-static aluminum plastic bags . anti-static PE plastic bags and so on!